Russian River makes you think wine, right? Wrong. If it does, you're at the wrong site. Let's try this again. 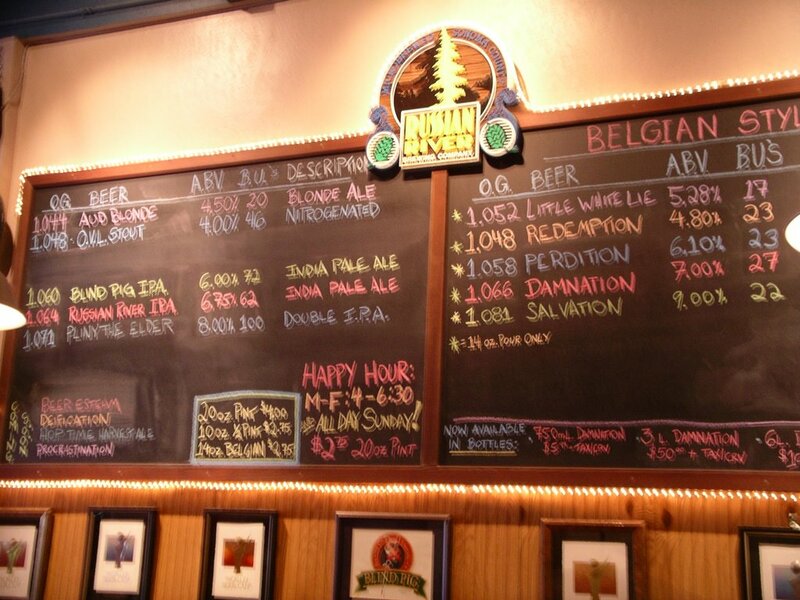 Vinnie, Natalie, GABF, WBC, Pliny, Redemption, Salvation, Damnation, Blind Pig, -tion, -tion, -tion. Now what are you thinking? Russian River Brewing Company, of course. 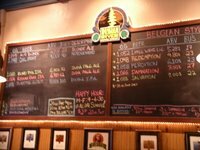 On the way between our afternoon adventures in Marin County and our overnight stay in Ukiah, CA, we stopped for dinner and a few early evening brews straight from the source at Russian River Brewing in Santa Rosa, CA. 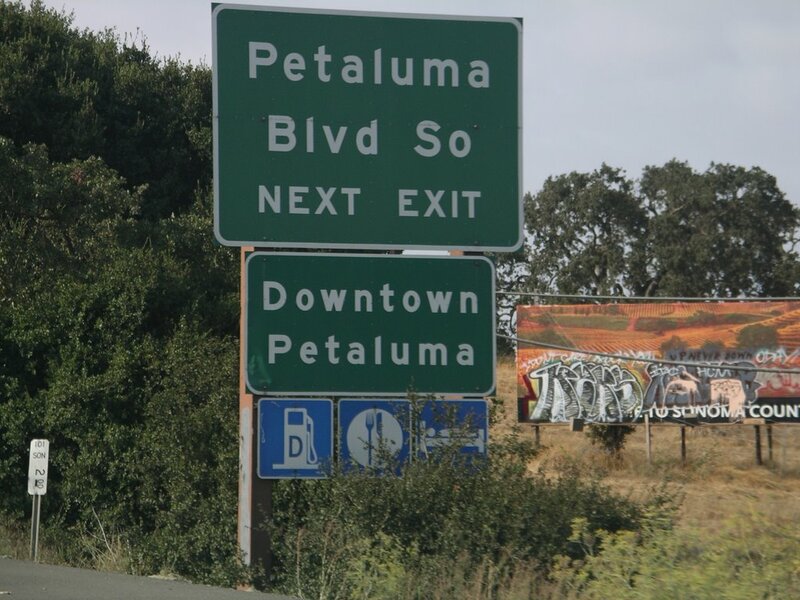 (Yes, we somehow did manage to drive by Petaluma without stopping at Lagunitas.) 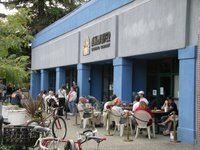 Located in a downtown environment on 4th street and a handful of blocks from US-101, the brewpub is easy to access by car. Maybe it was my high expectation and anticipation, but it immediately felt like I was surrounding by forward-thinking beer enthusiasts. Out front of the building on the sidewalk, people were enjoying the beautiful Friday afternoon weather, the end of the work week, and the beginning of the weekend. 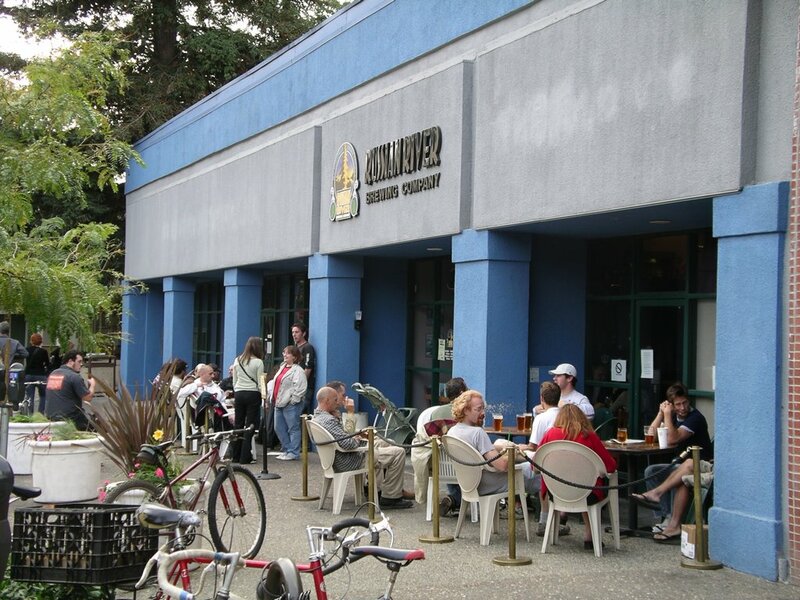 The weather was perfect and the beers were flowing fresh from the taps. Everyone looked, in a way, enlightened. (Don't ask me what that means!) We went inside and soaked up more of the same atmosphere at the bar before getting a table for dinner. 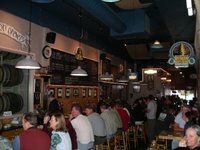 It is fairly obvious to see that the locals (young and old, professional and not) have certainly embraced Vinnie's and Natalie's brewpub. And for good reason. It would be an insult to call even the most "average" beer here pedestrian. The food follows right in line with its own excellence. A primarily pizza-driven menu can satisfy most any palette and appetite. 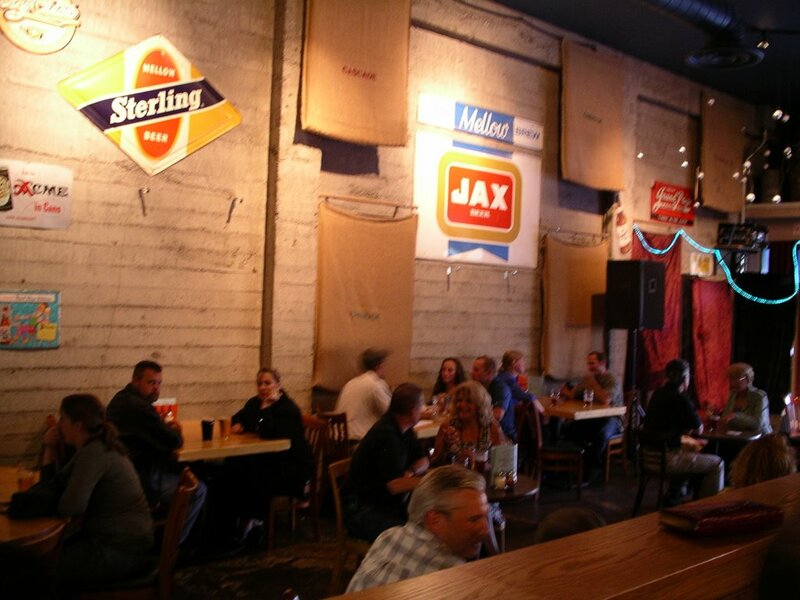 From plain to creative, a couple of glasses of beer and a pizza at Russian River is an excellent way to begin the weekend. The interior layout of RR is much like your typical bar, complete with walls adorned with various beer paraphernalia and brewing supplies. However, perhaps the most distinctive touch is behind the bar. 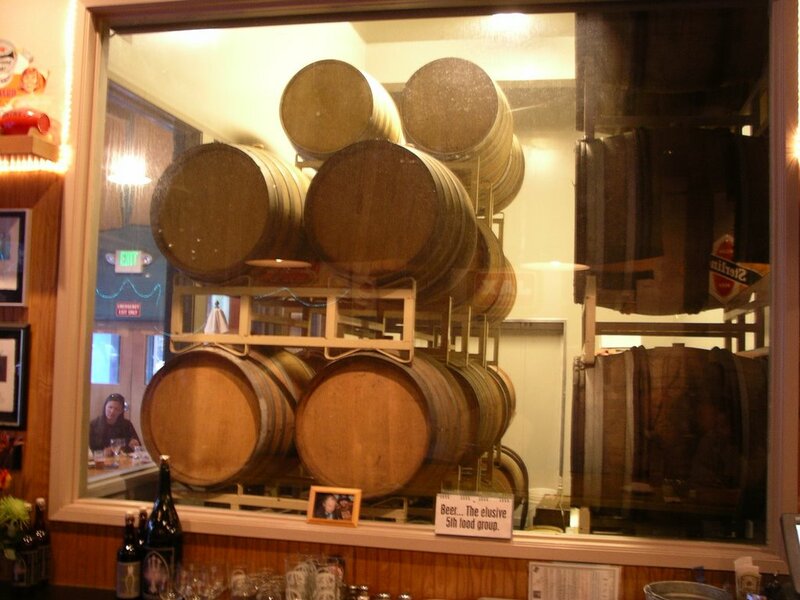 There you can see through windows that give customers a glimpse of wooden barrels tenderly aging some of the more adventurous RR brews. During our short stay we enjoyed Pliny the Elder, Blind Pig IPA, Aud Blonde (a 2006 Gold winner at GABF), and Damnation (Belgian Strong Ale). And, somehow, I still feel cheated! I wanted to stay for more. I wanted to run down the list from top to bottom, sampling everything they had from the source. Of course, a tour of the operations and a meet-up with Vinnie and/or Natalie would have been the icing on the cake. But, alas, the road beckoned, we purchased glassware and a t-shirt, and we departed for our overnight stay in Ukiah. p.s. If this is your first time hearing of Russian River and are not getting a sense of their status in the craft brewing industry from my writing, then I suggest you check out a review of the "-tion dinner" held in their honor at the Cathedral Hill Hotel in San Francisco, CA. 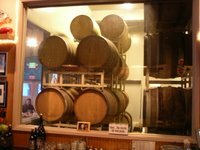 Judging from the event list, Cathedral Hill seems like a great place to keep an eye on for future beer dinners when visiting San Francisco. 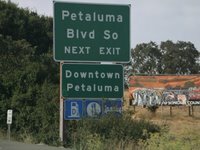 If you're interested in a poor quality 360-degree video of the inside of Russian River, you can check it out with the link below to YouTube.